Advanced facilities, large in scale, and flexibly combinable　Independent entrances to each exhibition hall, which can be used separately or through combination. 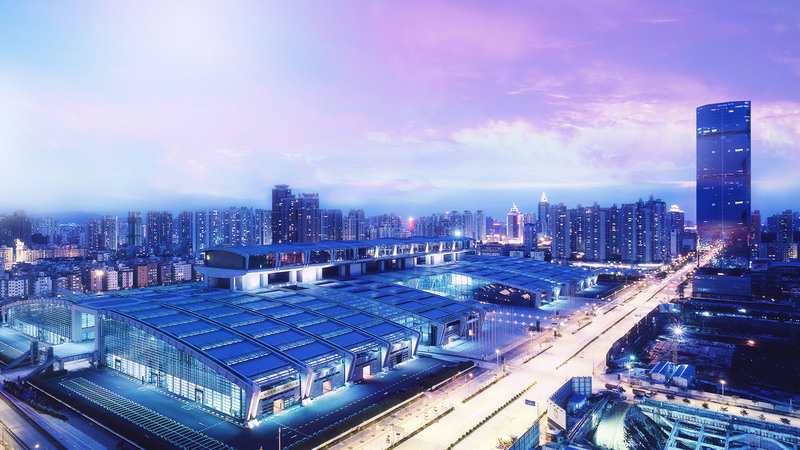 The exhibition hall is 126 meters in width, 13 to 28 meters in clear height without any supporting pillar. The floor strong enough for exhibition of large-scale machinery equipment. Natural light is major means of illumination in the exhibition halls. The center has the world’s largest a roof sun light shading system, which is made completely of aerospace materials. Convenient and highly efficient indoor traffic system is made very efficient by the major passage on the 2nd floor, separate entrances to each exhibition hall, and 137 escalators and lifts.